While my treatment specialty is Aroma-Reiki (an issue-focused Reiki session with customized aromatherapy using Young Living essential oils), I believe there are as many roads to wellness as there are people to walk them, so my sessions and workshops are often eclectic combinations of Reiki, aromatherapy, Biofield Tuning and sound healing (with tuning forks and other instruments), and a variety of other energy and energy-psychology wellness modalities, including EFT (aka "Tapping"). I am also currently in a training program with Aromahead Institute to become a certified aromatherapist. 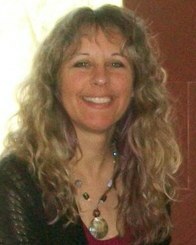 I am grateful to have had the opportunity to self-design both my BA and MA degrees from Johnson State College so they could relate to my life passions and my wellness practice: a "Body-Mind-Spirit Integrative Healing" BA; and a Master of Education degree that combined public Education with Counseling and Complementary & Alternative Medicine (CAM). For my final Masters Research project at JSC in 2011, I designed and conducted a Phenomenology-based study that explored the constructed reality of seven people who experienced an Aroma-Reiki session with me. It was a fascinating process and I look forward to further involvement with research on Reiki and other CAM modalities over time, ideally in collaboration with the VRA. In 2012, I founded the beautiful Morrisville Holistic Health center at 49 Brigham Street where my practice has now been joined by 10+ other excellent practitioners of varying modalities. As Regional Coordinator, I intend to support Lamoille County's Reiki community in whatever way is most helpful, and also to increase local Reiki activities and collaborative networking strength in my area. Please let me know how I can best support you in reaching your highest potential!